Behind a bureau in Sam Gottesman’s Squirrel Hill apartment — blocks from the Tree of Life Synagogue — is a collage of photos from his life. There are pictures of family gatherings, his wedding — and some grainy black and white photos of people in prison uniforms. “This is the liberation in Hanover,” he says, pointing to the camp in Germany he was in when the war ended. Five men are staring at the camera, their faces gaunt, but smiling. He explains the photo was taken by an American soldier. He was at synagogue last Saturday morning, when news of a shooting at a different temple — Tree of Life — raced through the building. Soon enough the details would come through — 11 dead, shot by a man who said he wanted to kill Jews. Gottesman wasn’t shocked that something like this could happen here. Anti-Semitism is something he’s been living with his whole life, he says. Gottesman was born in 1923, in the former Czechoslovakia. He survived the Holocaust, but most of his family did not. One day, they were evicted from the ghetto they were living in, and sent on a train to Auschwitz. When they got off the train, Gottesman went with other able-bodied men in one direction. Gottesman was shipped to a series of work camps, and later liberated by American troops. Eventually, he came to Pittsburgh. Down the hall from Gottesman lives another Holocaust survivor from what is now Belarus, Moshe Baran. Baran managed to save his brother, sister, and mother from the ghetto they were living in, but not his father and another sister. One day they and 900 other Jews from his village were evicted from their homes, and forced to march. Baran says soldiers gunned them down from behind. After the war, he eventually made his way to America. He says he isn’t surprised there are still “pockets of poison,” as he calls it, in the U.S.
“I have gotten a lot of shocks in my life,” he says. 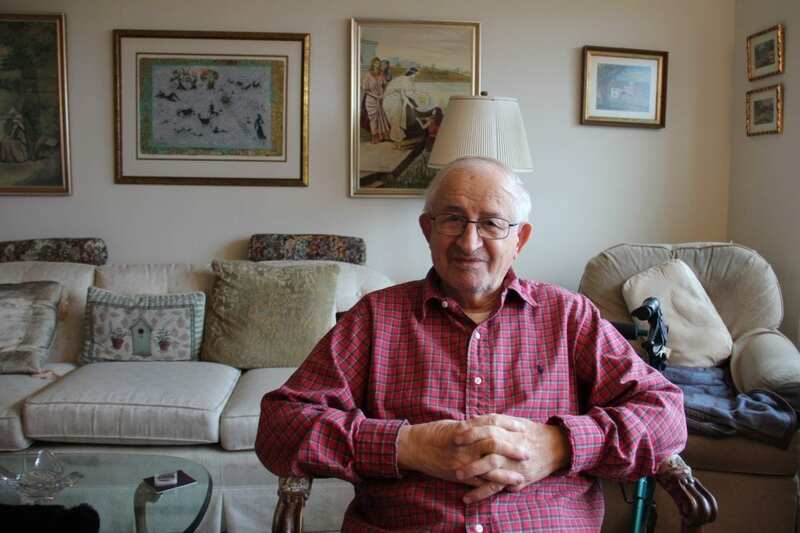 Baran turns 98 next month, and still speaks publicly about his experiences in the Holocaust. Asked what he would do with the alleged killer, who posted hate for the Jews online because they helped refugees, Moshe Baran stops to think. Reid Frazier is a reporter at The Allegheny Front and StateImpact Pennsylvania.